NEW: Please visit our page about Opportunity Zones, to learn about significant tax incentives for housing and mixed-use projects in economically disadvantaged neighborhoods. 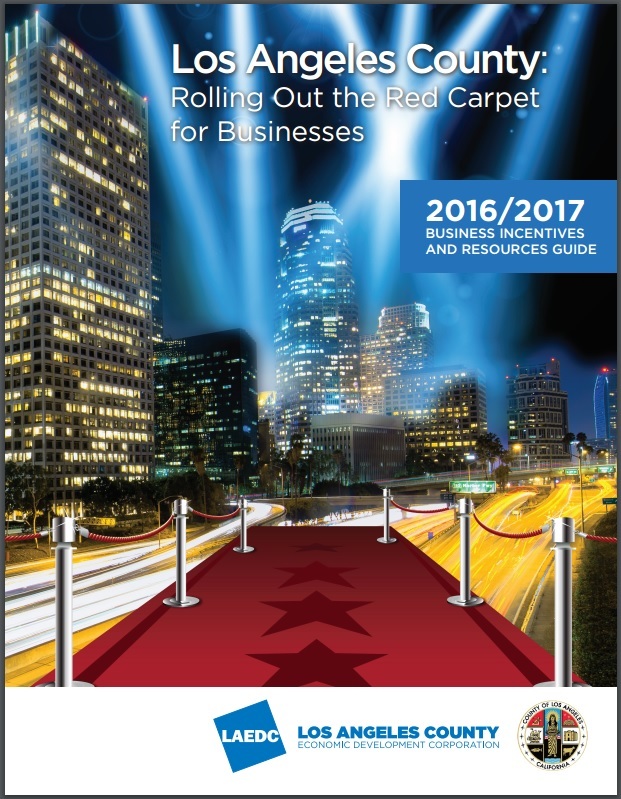 LAEDC is also pleased to provide our LA County Business Incentives Guide, which provides details on all 88 cities and the county, and includes state and federal incentives that apply to our region. The guide, coupled with free consulting from LAEDC’s Business Assistance team has the potential to help your business bottom line tremendously. Please note that Opportunity Zones haven’t yet been integrated into the guide, and that is worth review separately. Please click HERE to view or download the new Business Incentives Guide for LA County.